› Location: 1,600 acres between Highway 72 and the Tennessee River in Hollywood, Ala.
› Investment: More than $5 billion, excluding most interest and maintenance expenses incurred over the past decade and a half. › History: Construction began in 1974, was suspended in 1988 on original units. In 1997, TVA considered using some of the infrastructure to construct a natural gas power plant but later abandoned those plans. Planning began to put a new generation of Westinghouse units on the site in 2006, but that was canceled in February, 2016. Nearly 43 years after construction began, the Tennessee Valley Authority may pull the plug on the Bellefonte Nuclear Power Plant this week and look for a buyer for the 1,600 acres that house the unfinished reactor buildings, cooling towers, administrative offices and switchyards in Hollywood, Ala.
TVA directors on Thursday are scheduled to consider the future of Bellefonte, where TVA has invested more than $5 billion to build and maintain the mothballed power plant over the past four decades. TVA's vice president of stakeholder relations, Joe Hoagland, said Monday that TVA determined it would be too expensive to try to finish Bellefonte and it won't need the power for at least the next two decades. "When Bellefonte was evaluated as part of our integrated resource plan, it was not picked as a viable alternative for the next 20 years so we are trying to consider the best options for that site," he told the TVA Regional Energy Resource Council Monday. Hoagland said TVA has received a half dozen inquiries and expressions of interest in buying the mothballed plant, although no price or terms have yet been set for any plant sale. TVA declined to identify those interested in buying Bellefonte. One of those who filed comments indicating an interest in buying Bellefonte — Chicago attorney Larry Blust — also declined Monday to identify the client he was working with who wants to buy the unfinished nuclear plant. But a Nevada developer of a new type of induction heat technology said Monday he believes he could use the equipment at Bellefonte to fire up its technology for about $100 million in additional investment. H. Michael Dooley, a nuclear Navy-trained engineer who grew up on Mobile, Ala., said Monday he thinks Bellefonte's steam generators, switchyard and other power facilities could be used to test out his company's electromagnetic induction energy field technology capable of generating both steam for power generation and evaporative distilled water and hydrogen and gas production. Phoenix Energy of Nevada LLC, based in Carson City, Nev., is already trying out its induction energy power plant conversion concept at a smaller plant in Ware, Mass. Brian Smith, principal projects and construction manager for the company, said the desing by Phoenix Energy is "ideal for conversion of existing steam turbine generating power plants, whether they are nuclear, coal or gas. "We are a small, but dynamic veteran-owned company that has developed and designed a new and innovative electric power generation plant technology and design similar to nuclear boiling water reactors (BWR)," said Smith, who estimates the technology could generate power for as little as 2 cents per kilowatthour with federal renewable tax credits. "We are a completely clean regenerative source of non-intermittent reliable and dependable low cost electric power." Hoagland said if TVA agrees to declare Bellefonte surplus and pursue a public auction of the property, the board will determine what criteria it will use for the sale and then pre-qualify those who might bid in any auction, which is likely to take another 60 to 90 days, he said. Most council members Monday voiced support for TVA selling Bellefonte, echoing the majority of the 79 comments TVA received from the public about what TVA should do with one of America's biggest unfinished construction projects. But TVA distributors, industrial customers and environmental activists were split on how TVA should dispose of Bellefonte. Goodrich "Dus" Rogers, president of the Jackson County Economic Development Authority and chairman of the Regional Energy Resource Council, said Alabama officials want the plant to be used as a power plant or industrial site that will generate jobs and investment in the region. Alabama Gov. Robert Bentley, U.S. Sen. Richard Shelby, R-Ala., U.S. Rep. Mo Brooks and Hollywood Mayor Buster Duke all recommended that TVA find a buyer to finish Bellefonte as a nuclear plant or convert the site to another power generator or industry. 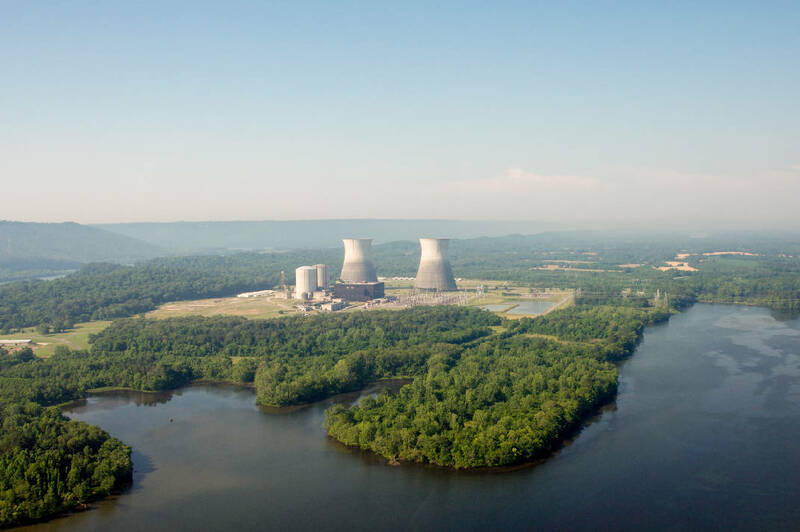 "If TVA is not going to complete Bellefonte, which is apparently pretty obvious, then we recommend that it should be sold to another group or identity who will complete it and operate it as a nuclear power plant," Rogers said. "TVA has had a long time to construct Bellefonte and it's been up and down through the years and that has been pretty hard on our community." Stephen Smith, executive director for the Southern Alliance for Clean Energy, said the "best way to get Northeast Alabama off of this roller coaster of ups and downs is to give up on the nuclear option once and for all." Smith, a critic of nuclear power, said finishing Bellefonte with its 1960s design and delayed and fragmented construction during its history is too expensive and impractical. Smith urged TVA to keep the riverfront site at Bellefonte to help protect aquatic wildlife and urged TVA to keep the transmission grid facilities for power reliability. "Retaining the waterfront acreage provides TVA the opportunity to manage critical riparian and wetland acreage on the Tennessee River and the Guntersville Reservoir in a way that benefits current and future generations," Smith said. TVA's major industrial customers and distributors recommended any sale be done in a way that helps maximize the economic gains for the Tennessee Valley and recoups as much of TVA's investment as possible for ratepayers. Although TVA is likely to get only a tiny fraction of $5 billion it has spent so far at Belelfonte, ratepayer advocates want to minimize any writeoff TVA must take from the sale. "This site has a long and storied history and the ratepayers have had to pay for all of the site and equipment acquisitions and infrastructure," said Wes Kelley, a manager for Columbia Power & Water Systems, one of TVA's power distributors. "I want to make sure that ratepayers retain as much value as possible from any sale." Contact Dave Flessner at dflessner@timesfreepress.com or at 423-757-6340.